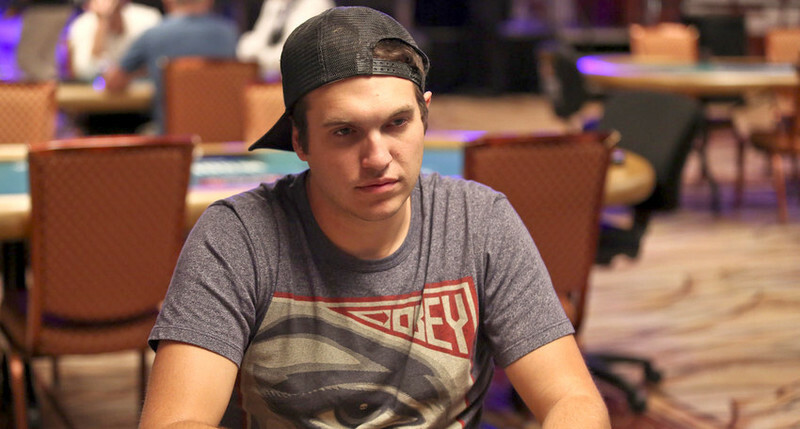 Poker professionals are a motley bunch, from television pros like Phil Hellmuth to online stars like Fedor Holz. But all top poker pros share certain traits that play a role in their success. I’ve narrowed down five that I think are probably the most important, and are worth aspiring to. At the top of the list is self-control. Simply put, being disciplined will get you far in poker, just as it will in life more generally. This is most evident with regard to studying and learning away from the table. Most of us can agree that playing poker is more fun than studying it, but of course the latter makes the former more profitable and satisfying. Ike Haxton and Erik Seidel are great examples of players who have remained competitive because of a seemingly endless commitment to working on their game. But there are other elements of poker that require self-control. Being able to make a disciplined fold, calling it quits when the game isn’t juicy enough, and refusing to play when you aren’t at your best are right actions that depend on exercising self-control. Variance in poker means there will be (potentially long) downswings—even when you are making the right decisions. Great players spend time developing an emotional understanding of variance. They can take the rough with the smooth, and maintain a positive attitude even when it seems like the next card off the deck is inevitably going to be the worst one. Emotional stability is crucial to achieving long-term success in the game. The poker lifestyle is often glorified as being a world of high-stakes games and luxurious hotel rooms. But most poker pros live fairly modest lives characterized by sensible financial choices, and those who reach the very top didn’t get there without good bankroll management. Countless players have gone broke trying to make it to the top, usually by playing in games they weren’t sufficiently rolled for. Since variance is an inevitable part of poker, the best players take care to minimize its impact by being financially prepared for the downswings. In addition to playing within their means, many players will pre-emptively look beyond their own bankroll for stability by selling action, or by getting backed by someone with more capital. Longevity also requires sensible financial choices away from the game. You shouldn’t feel deserving of a showy high roller’s lifestyle just because you’ve binked a big tournament. Instead, after a big score it is important to set aside a chunk of money for your bankroll—after all, money is a tool used to make more of it in poker. It is fair to say that success in poker correlates with intelligence. High-stakes regular Pratyush Buddiga, for example, was a child spelling prodigy (he won the Scripps National Spelling Bee). Vanessa Selbst attended Yale on a Fulbright scholarship. And many of the German tournament crushers have impressive academic backgrounds. However, it’s not necessary to be a genius or ground-breaking strategist to do well in poker. There is now a wealth of training material available online that covers basic fundamentals to advanced strategy. So, don’t panic if you haven’t been gifted with exceptional natural intelligence — work ethic often trumps bare intellect. Any successful poker pro can tell you about a defining moment where sheer luck helped them on their journey to the top. I’m not saying that successful pros have made it only as a result of luck — it takes skill to be a winning player over a long period of time. However, the reality is luck undoubtedly plays a role in the short-term, particularly if you play in large-field tournaments where variance is high. Just ask John Hesp, the semi-retired grandad from East Yorkshire who won a satellite to the 2017 WSOP main event, and then went on to finish fourth for $2.6 million. Great poker players are able to analyze how luck influences their results. In particular, they are able to clearly distinguish between bad luck and bad play in order to improve, and you should do the same. Stay calm when luck turns against you, and learn from your mistakes when you make them.